Clear view mast design for easy load spotting. Spark resistant brass covered forged forks and package guards. Single, two stage or triple stage mast style lift. 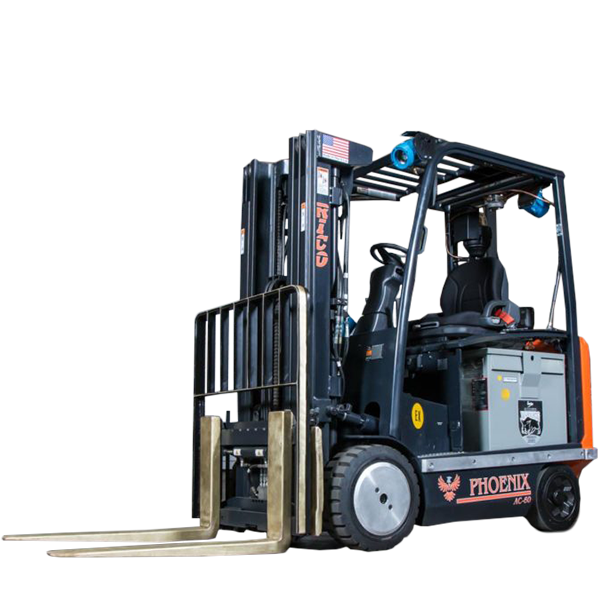 AC-EX-60 Capacities up to 6,000lbs. SD-EX-80 Capacities up to 8,000 lbs. Mechanical infinite variable lift controls.